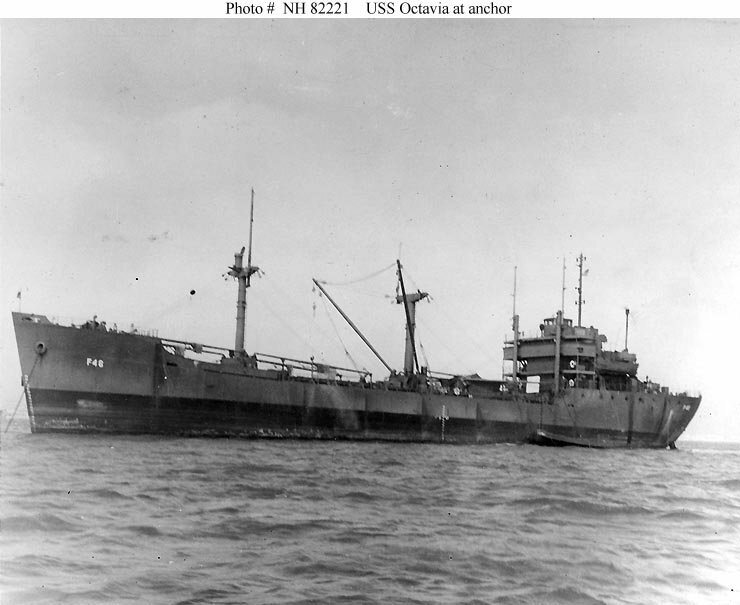 Laid down, 22 November 1944, as a Maritime Commission type (R1-M-AV3) hull under Maritime Commission contract (MC hull 2338) at Pennsylvania Shipyards, Inc, Beaumont, TX. Decommissioned, 12 August 1946, at San Francisco, CA. Current Disposition, active as a fish factory, homeported at Seattle, WA. 58k USS Octavia (AF-46) at anchor, probably in San Francisco Bay, CA., 1946.